The Ithaca College women’s cross-country team and men’s cross-country team member senior Sean Phillips competed at the NCAA Championship on Nov. 19. The women’s cross-country team earned an at large bid for the NCAA DIII Championship. Senior Sean Phillips qualified individually as well. Two individuals won NCAA National Outdoor Championship titles in May. Now, the women’s indoor track and field team is hoping to build on their success. The cross country teams continued their dominance of the Empire 8 Conference by topping the field in the championship Oct. 29 at Hartwick College. The women’s cross-country team finished in eighth place and the men’s team finished in 16th place at the Paul Short Run Oct. 1. The women’s team placed second while the men’s team placed seventh Sept. 17. At the Hamilton College Short Course Invitational on Sept. 10 , the women’s team finished in first place with 30 points in the 4k course and the men’s team came in fourth place with 88 points in the 5K course. The men’s and women’s cross-country teams raced alongside alumni in the annual Jannette Bonrouhi-Zakiam Memorial Alumni Run. Eight of the ten Ithaca College fall varsity sports teams will begin their fall seasons this weekend. Junior Taryn Cordani spent this past summer in Denver for a communications internship and to run with the Denver Track Club. 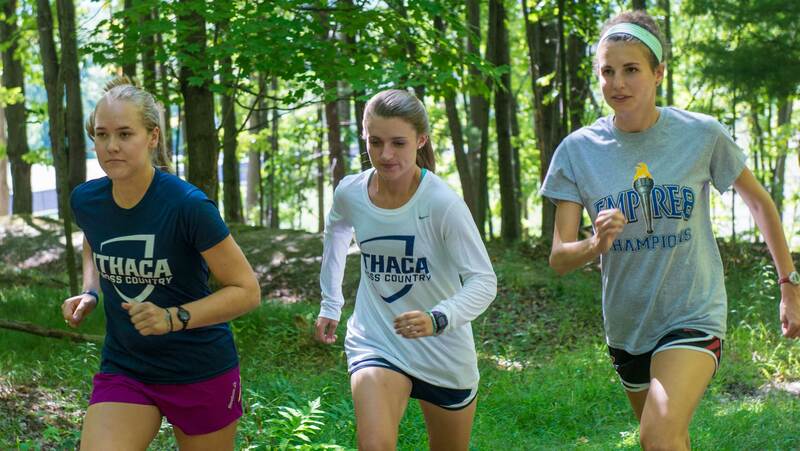 The women’s cross-country team is aiming to send a full team to nationals this season. Last year, they sent two individuals. Sophomores Taryn Cordani and Grace Ryan competed in the 5,000-meter run and triple jump events respectively on the final day of the NCAA Championships on May 28.